Nokia has now officially announced the Lumia 610 will be arriving in the United Kingdom in the first week of June. Despite some websites like Clove UK already having some versions of the Lumia 610 for at least a week, an official announcement from Nokia always means full stock will be available in priority (and local) locations. The official announcement was made at a Nokia event in London at the Trafalgar Hotel, where Nokia also mentioned the low-tier Windows Phone will be available through most retailers and networks. SIM-free price has not been announced, but Nokia representatives told attendees at the event to expect a two year contract price of 15 British pounds. Although no information on available colors was given, many already expect all four colors – black, cyan, magenta, and white – to be available on launch. 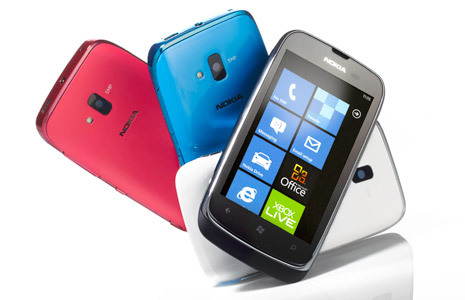 Who’s ready to purchase a Lumia 610 Windows Phone in the UK? Let us know how you like it in the comments below.